Add the Toronto Blue Jays to the list of teams that will be looking for a new manager after the season. 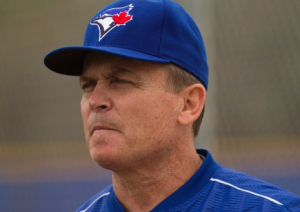 On Wednesday, the Blue Jays announced that manager John Gibbons won’t be with the team in 2019. The move has been speculated for quite some time. Blue Jays GM Ross Atkins held a joint press conference with Gibbons Wednesday to announce the decision. Gibbons has not been fired, nor is he resigning his post. Instead, the move appears to be completely mutual for Gibbons and the Blue Jays to move on from one another. Gibbons will remain with the team through the end of the season on Sunday. However, Wednesday’s game will be his final home game as manager of the Blue Jays. Of course, this was his second stint as Toronto’s manager. The first one, which lasted from 2004 to 2008, ended without a playoff appearance. However, the second time around, Gibbons was able to lead the Blue Jays to back-to-back appearances in the ALCS in 2015 and 2016. In doing so, he helped the Blue Jays break a 22-year playoff drought. Alas, things have gone south the past couple of seasons. The Blue Jays are poised to finish 4th in the AL West for the second straight season. With the Blue Jays beginning a rebuilding phase that will likely keep them from competing for another year or two, it makes sense for Gibbons and the club to go their separate ways. “Ultimately, we decided it was time for a new approach, a new voice,” said Atkins. Gibbons admitted that he probably doesn’t have the energy to go through a rebuild with the club. However, his loyalty to the Blue Jays has made it easier for the Blue Jays to move on from him without any hard feelings. As for the Blue Jays, Atkins declined to answer any questions about what the team will look for in a new manager. However, reports suggest the team covets a younger manager. The Blue Jays have one of the best farm systems in baseball, including five prospects ranked among the top 100, according to MLB.com. Some of the team’s prospects have started to matriculate to the major league level while others will likely make their debut next season. Either way, the Blue Jays appear to have a promising future. However, Gibbons won’t be the manager leading them into that bright future.